The meadows around Norris Geyser Basin in Yellowstone National Park are a good place to look for coyotes (Canis latrans) hunting voles. This coyote was found working the tall grass. He would stalk quietly through the grass, stop and listen, poise, leap high and and drop on his prey. Brutally effective. 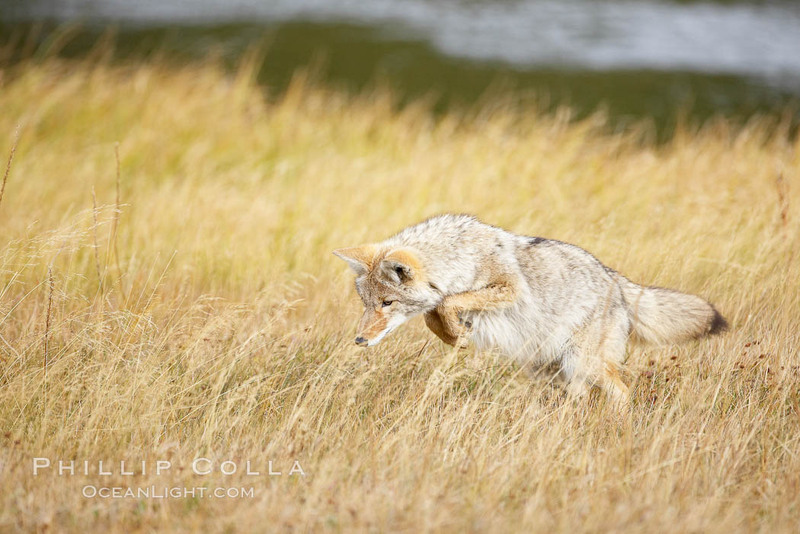 A coyote hunts for voles in tall grass, autumn.